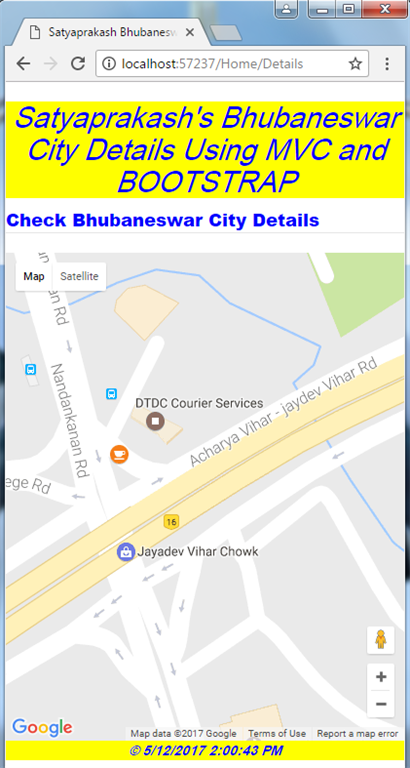 Before going through this blog, read Google Map, using Bootstrap in ASP.NET MVC Part-1 carefully. ROADMAP - This type will show normal, default 2D map. SATELLITE- This type will show photographic maps. HYBRID- This type will show photographic maps + roads and city names. TERRAIN- This type will show maps with mountains, rivers etc. The map type is specified either within the Map properties object, with the mapTypeId property or by calling the map's setMapTypeId() method. not for all the locations only at high zoom levels. If you zoom into a location with 45° imagery view, the map will automatically alter the perspective view. Compass wheel around the Pan control, which allows you to rotate the image. Rotate control between the Pan and Zoom controls, which allows you to rotate the image 90°. Toggle control to display the 45° perspective view under the Satellite control/label. Zooming out from a map with 45° imagery will revert each of these changes and the original map is displayed. Create a Controller action method named Details() in the same controller HomeController.cs of this same MVC Application. Now, create a view named Details.cshtml. Here, I used Map type "HYBRID". This type will show photographic map + roads and city names. The other parts descriptions are same as in Part-1. 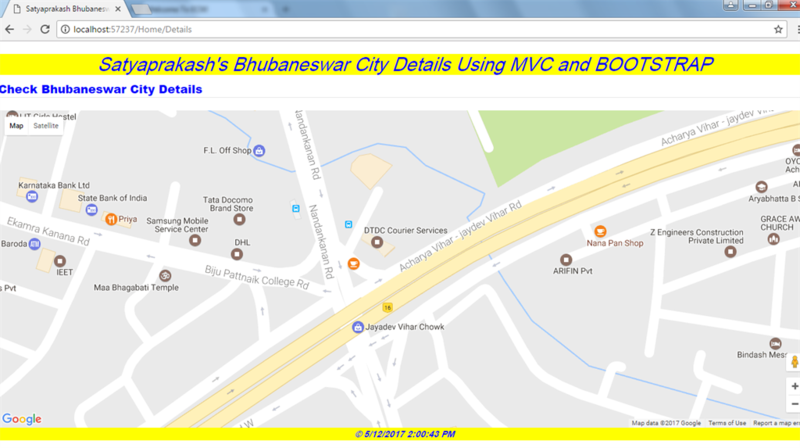 How to add Google map types In MVC. 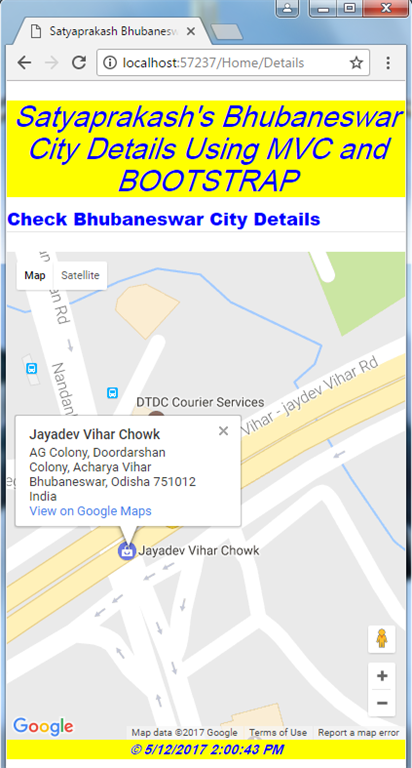 Get city details like Town, Street, Restaurants, Colleges inside town. Popup to know the details.